Against the background of famine, war and epidemics in the eastern steppes, a new force is growing. A new leader comes out, and behind him is a million horsemen, and his gaze is fixed on Rome. 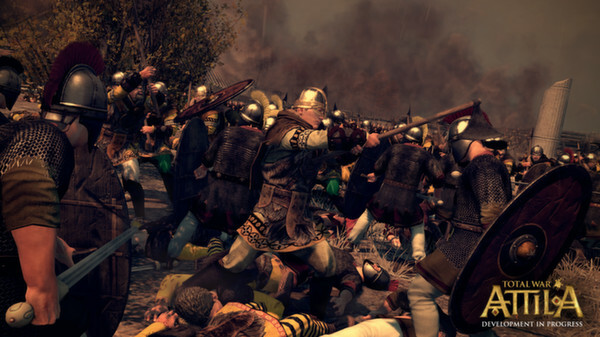 Total War: ATTILA - a new part of the famous strategic series of games, combining real-time battles and turn-based battles, takes the player to 395 years. Dark time begins with a disaster. How will you survive? Destroy the attackers and create your own Eastern kingdom? Or rally the remaining forces of the Roman Empire and take the test, showing everything you are capable of in a survival strategy. The scourge of God is coming. Your world will engulf the flames. Control the furious elements of fire - set fire to buildings and terrorize the enemy, or erase entire settlements from the game map with the help of a new game mechanics. When playing for the Western Roman Empire, you get at your disposal a vast territory, but weakened by internal political contradictions and surrounded by enemies. Your reign will soon turn into a fight for life. By optimizing game mechanics, in particular, policy, family tree, civil administration and technological progress, the gameplay and user interface have been improved. 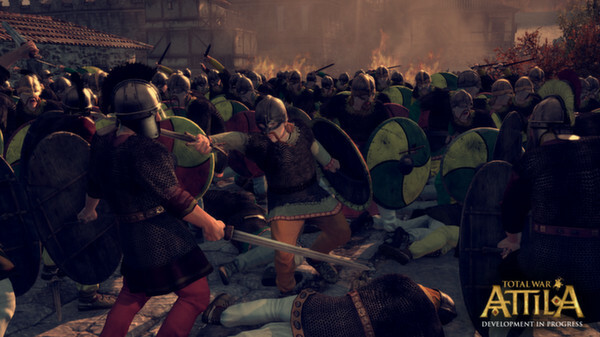 Thoroughly reproducing technologies, weapons, religious, cultural and social troubles characteristic of the era, Total War: ATTILA reliably conveys the events of this dark chapter in the history of mankind. 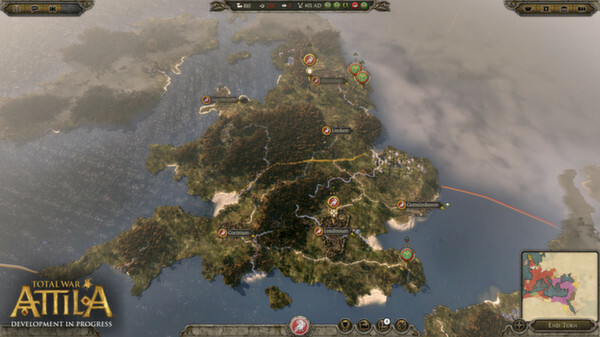 Improved and optimized visual effects of the battle and campaigns reinforce the sense of impending catastrophe, threatening to destroy the entire civilized world. Estimate the breathtaking scale, the atmosphere of the era and improved graphics and witness the end of civilization and the birth of a new legend. !!! If there are any problems with key activation, please do not immediately write a negative review, we will be able to solve these problems !! !